Due to be released mid June. If anyone read my first tournament report they know I'm not retiring to play Table Tennis full time. So I will stick to what I do best. Illustration. 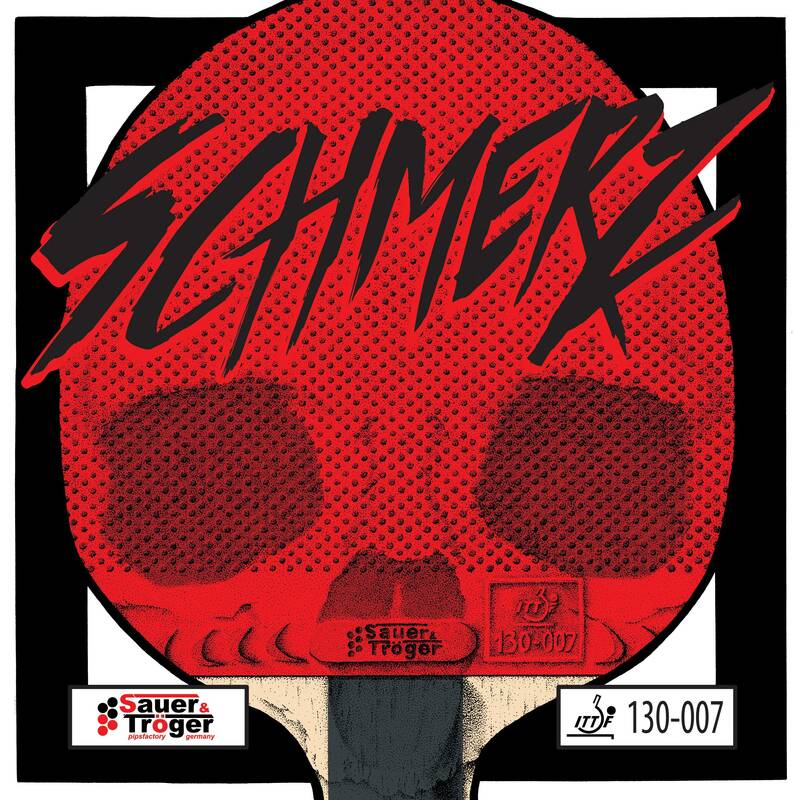 Sebastian was kind enough to ask me to create the new cover for Schmerz! As a part of my payment, I will be getting two of these around mid June. If Haggisv allows me, I will have one as a giveaway to promote my Facebook artist page or instagram page. Hopefully everyone picks one up regardless and tells Sebastian they love the cover! Big thanks to Sebastian! A wonderful man to work with! Wow! That is some awesome artwork! You should be the cover artist for all the big TT companies out there! Ttbuddy, I did what I could from the small picture I got from Sebastian. He said it looked pretty accurate. I hope so. They looked small thin and spaced. Hi I may have spaced them more than they were. When the rubber is released I'll post that pic. But don't want to assume I can share it yet. Can't see a problem with that. the description does not tell you what the characteristics of the pips are. "The highest disruption effect combined with easy to use attacking options..."
Did you notice that S&T's other new rubber is short pips called "Hass?" Du hast mich is the national anthem of all long pips players. Wasn't that the bad guys in the James Bond novels? Almost - it was 'Smersh' in James Bond, which was supposed to be 'Death to the Spies' in Russian (abbreviated). Too bad so few people have read the books - I did when I was around fourth or fifth grade or so and would love to re-read them.. everyone thinks James Bond is supposed to be Roger Moore type escapist silliness and don't like the most recent movies as a result. Can't even find the books anymore in used bookstores. Was inspired to go look on Amazon - sure enough, a few are still in print (particularly Moonraker and Thunderball) but a lot of what comes up is post Ian Fleming. There's even a Felix Leiter series!